Our four hens are happily spoiled with a large coop, and a large run occupying the rear portion of our back yard. In addition to the deluxe coop, we put the girls to work in the “Mini Cooper,” a tractor coop that sits on top of a 4×8 raised bed. Our flock is an interesting mix of one Buff Orpington, one Naked Neck, one black Americauna, and one Brahma, who, though ever regal, sadly lost her tail to the next door neighbor’s dog last year. 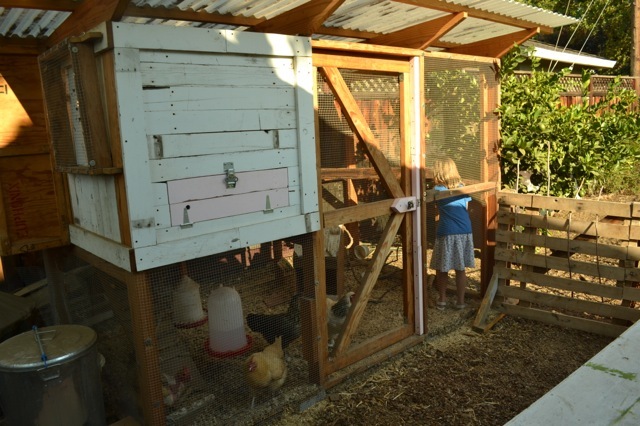 For the tour, you will see our chickens, coop, run, and garden, with at least two members of the flock working in the Mini Cooper on the remains of the summer garden. 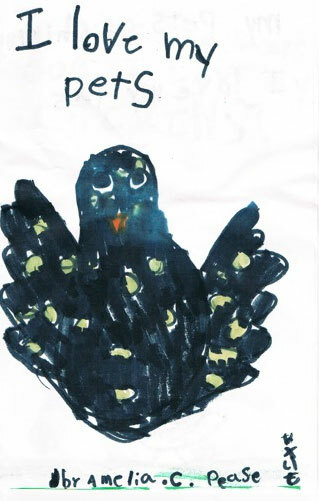 We will also offer at a reasonable price home-published chicken-fiction and chicken-poetry, courtesy of the resident young author/illustrator. Visitors will be invited to make a pinwheel for peace that they can affix to their bikes. September 21 is International Peace Day so let’s celebrate with old-fashioned neighborliness, livestock, and crafts!